I had this book back in the day, shortly after it was published. It became my bible… a revelation, an eyeopener, source of information, and the definitive reference work when it came to solving arguments. I bought it from the sadly missed ‘Books, Bits & Bobs’ from Kingston-upon-Thames, a cavernous place that sold a vast array of pin badges, patches, books, comics, posters and all sorts of other ephemera… and they weren’t picky, the mod stuff was intermingled with the 2tone, punk and heavy metal patches. It was across one road from the cinema where I first saw Quadrophenia, and across another from Jack Brendon’s, the clothes shop that sold an unlikely mix of Mod and Teddy Boy gear. But I digress. Back to the book. Firstly, it’s worth buying for the pictures alone. And there are a ton of them. In fact most of the 128 pages are pics. And they’re great. A lot have been reproduced over the years in various other formats, and all over the internet, but there’s nothing like having them together as a collection. And they close inspection! There’s a load of scooter pics, as well as clothing, hairstyle and music shots. There are also a fair few reprints from 60’s newspapers, lots about the the seaside battles of Brighton, Margate, Clacton and the like. 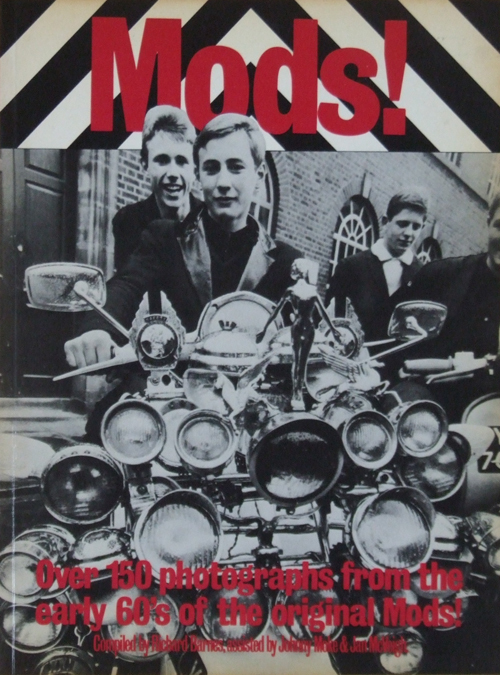 The text is insightful and although the author, Richard Barnes, was by his own admission not a mod himself, he was at the heart of the scene and saw it happening all around him. In fact, being a slightly removed, dispassionate observer has probably made this a stronger, and less biased book. To finish my story, this book became a part of my library in the early eighties. Much read, much loved. And then, in a clearout it ended up in a charity shop. Doh! So, for many years, I didn’t have it. And then, my lovely wife got me a copy for Christmas. Only then I realised how much I had missed it! 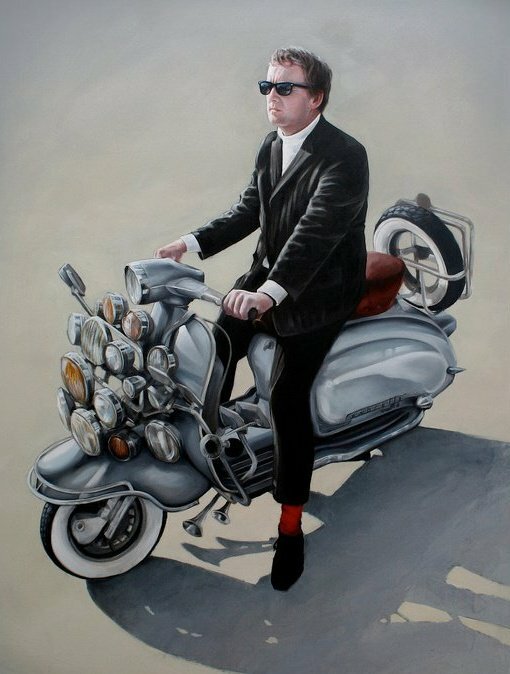 I know more that most, that being a Lambretta rider doesn’t automatically make you a mod, and you may even hate the tag. But you’ll more than likely have more than a passing interest in the scene. A scene that has not only become a integral part of British subculture, and cultural history… been at the root of many revivals over the years, and passed on essential elements to many youth cultures that have followed it. Do yourself a favour, and add this book to your library. It doesn’t tell the whole story of Mod as a movement, and there are other books that deal with other aspects of the scene. But this book was the original, and as mods will know, the original is often the best. Mod photoshoot Video for Italian Vogue. All the credits are at the end of the video, apart from, strangely, the music. Which is by The Eyes… I’m rowed out. Unlike the Lambretta Cuckoo Clock featured previously, this is something I wouldn’t mind hanging on my wall! From the “in case you missed it” department, a classic bit of advertising from Lucozade. Nicely done. Thanks to my mate Tony for reminding me about this one.